To get the most out of learning an instrument, it needs to be practised! 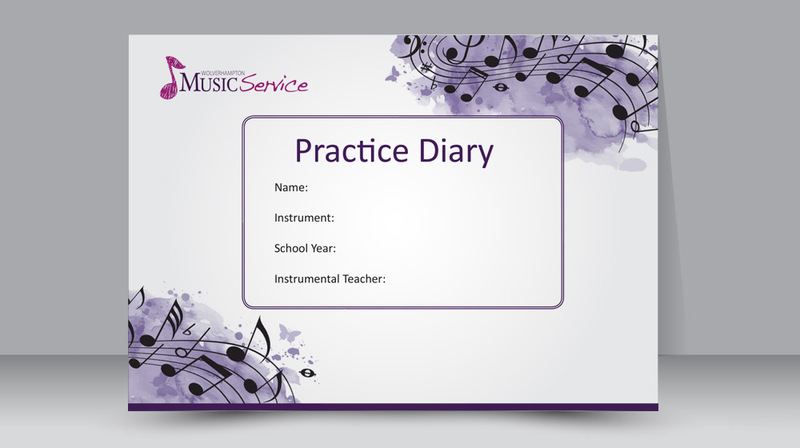 For 2019 we are issuing a new comprehensive practice diary to all students receiving lessons from Music Service staff. The diary is an essential tool to set weekly tasks and targets, to record and plot progress, and to communicate with parents. It is also packed full of useful tips and information that will help students, parents, schools and teaching staff get the most out of their instrumental lessons.